Gorgeous laceweight from the Shetland Islands. Excellent for shawls and very fine baby clothes.Material: 50% Wool and 50% Lambswool Weight: 25 gram ball Yardage: 212 yds. Approx. 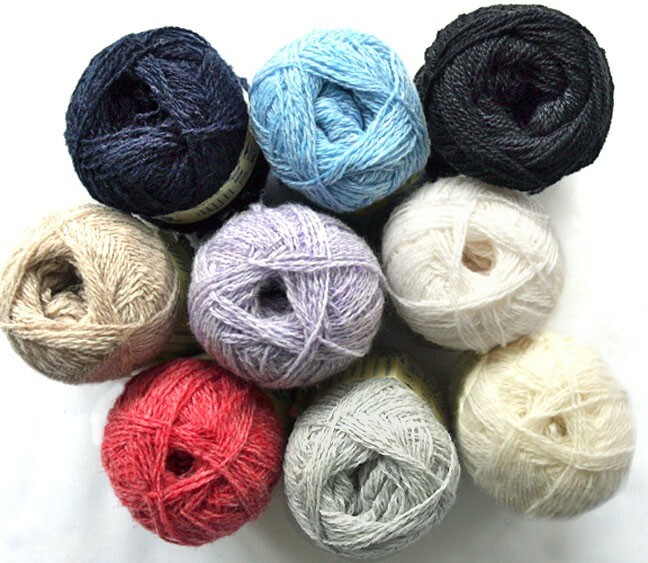 Gauge: depends on the type of lace fabric you wish to create Price: $7.50 per ball. Choose the quantity for each color you wish to order and click Add to Cart at the bottom of the page.